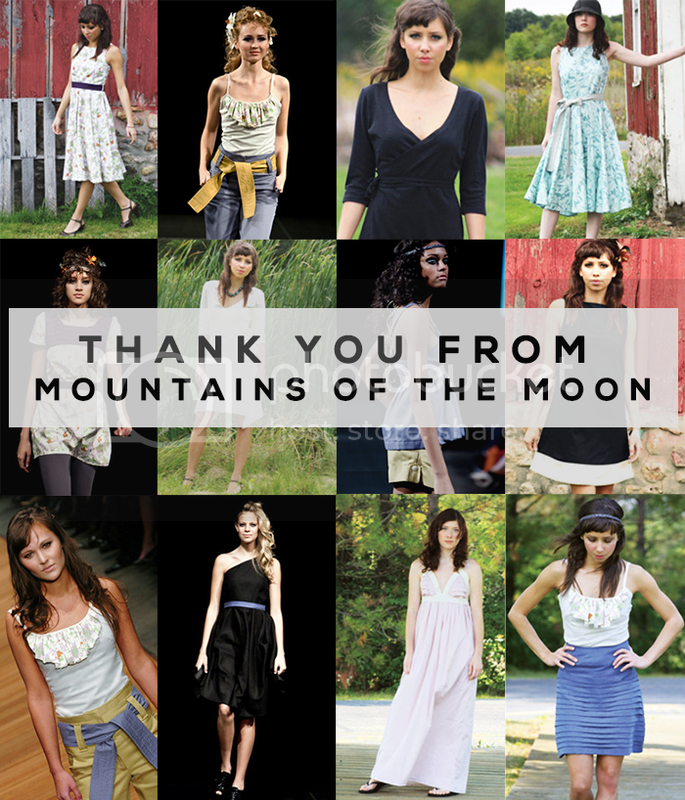 After 15 wonderful years, Mountains of the Moon Eco-Fashion officially closed its doors in November 2014. We will be forever grateful for our incredible customers, and for the chance to make our dreams a reality by blending style, ethics, and environmental and social responsibility and awareness through fashion. We always saw ourselves as collaborators with our customers in an effort to take a stand in making responsible decisions through our wardrobes. Our goal for our company and our customers was to work together to express ourselves through fashion and art while making a collective difference in the state of our world. Thanks to you, we feel that our goal was met. We hope that you will stay in touch with us via our sister company, Bubby and Bean Art, as well as through our blog, Bubby and Bean: Living Creatively. You can also find us on Instagram, Twitter, Facebook, and Pinterest. And although we are sold out of most of our clothing, we do have a small handful of pieces (both from our eco-fashion line and from our t-shirt line), so feel free to email us at customerservice (AT) mountainsofthemoon.com if you are interested. A million thank you's for your incredible support over the years. You'll always be a part of the Mountains of the Moon family.